Cloud Cuckoo Land is one of the Lego worlds that Emmet and Wyldstyle visit in The Lego Movie. It's full of rainbows, creativeness, happiness and positivity and is a place where you can do whatever you want whenever you want! The Cloud Cuckoo Palace set brings to life this very fun scene from the movie with a very whimsical design and bright pastel colours. This set has one of the most eye catching box art in The Lego Movie line due to the unique bright colours. 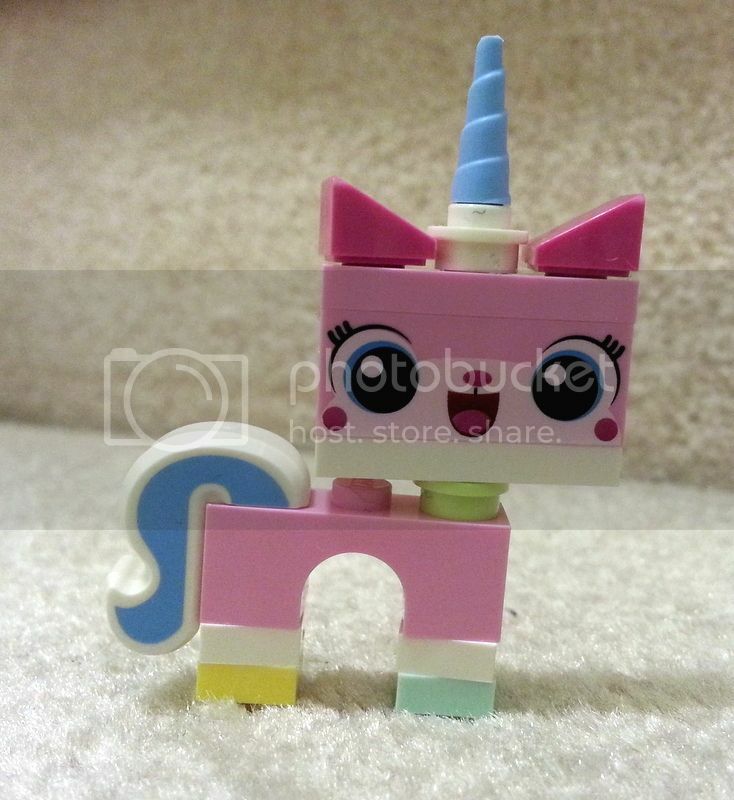 Plus, your eye is drawn immediately to Unikitty! 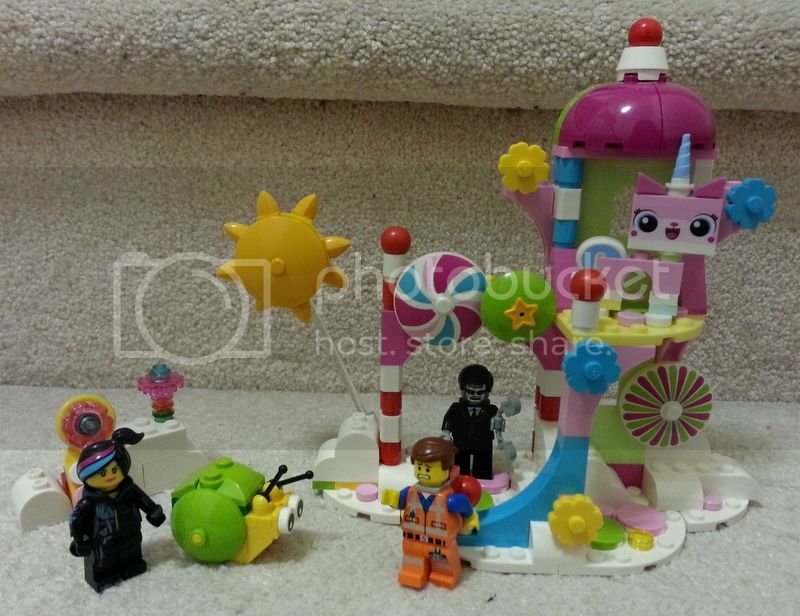 You get 4 minifigures in this set or 5 if you include the snail: Emmet, Unikitty, Wyldstyle and Executron. 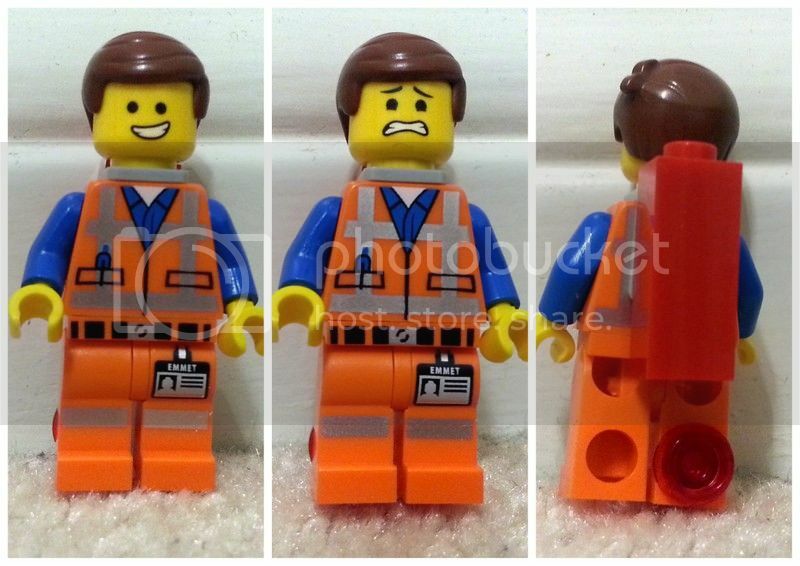 Because Emmet and Wyldstyle are the main characters of The Lego Movie, they appear in a majority of the sets. There are slight variations to the figures to make them unique to this set though. Let's have a closer look. Wyldstyle comes with two faces, one smiling and one fierce looking. 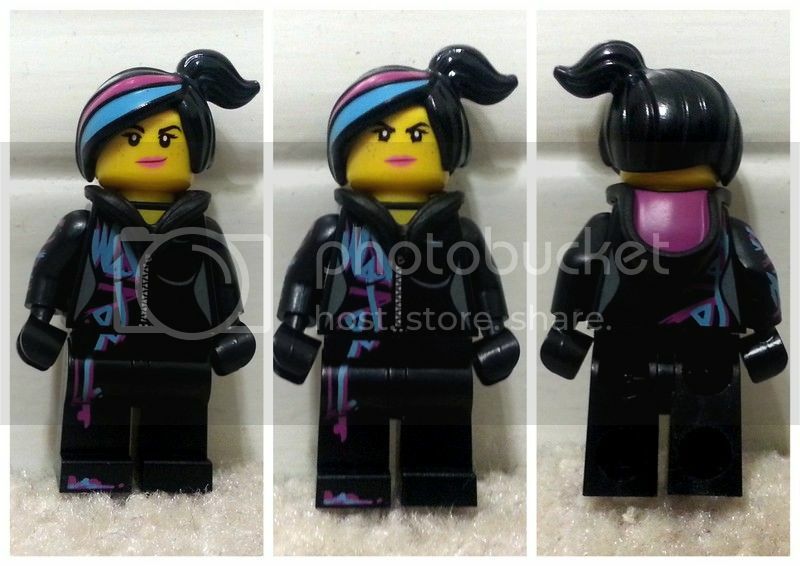 The body pieces are the same as found in other sets, but her hoodie is flipped down. The hood part of her shirt comes as soft piece. The leg and arm are both printed on the right side. With Emmet, you get the same body and legs as you see in other sets. The only difference is his printed face, again it is double sided - one of him smiling and the other of him scared. On his back he is carrying the piece of resistance and has a tracker attached to his leg. The Executron is one of Lord Business' robots and he has comes in a dapper black suit with a robot head. His accessory is handcuffs. There are different variations of Unikitty, but normal looking one only appears in this set which will increase the value of this set as I believe the Unikitty minifigure is quite sought after. The tail is a unique piece, as is the anime style face which is printed on the brick. 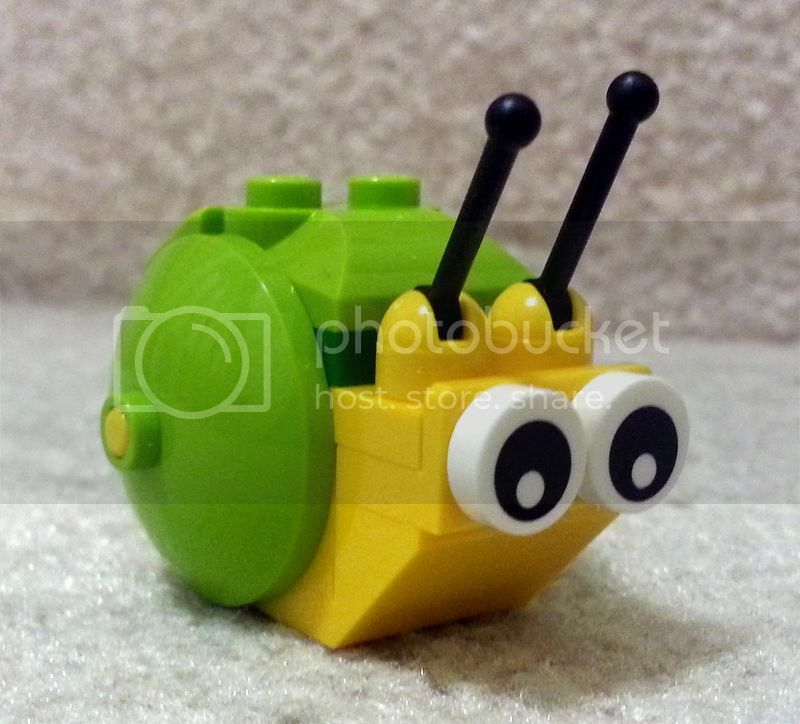 This snail is not advertised as a minifigure, but I will include it because it's just so darn cute! There are some other unique and printed pieces included in this set, among a good collection of interesting bright colours (reminiscent of Friends). Cloud Cuckoo Palace was a relatively easy and fun build. It is certainly a very unique design and looks so crazy that it works! The parts were seperated in to four seperate bags, each containing different sizes of bricks. You need to open all the bags in order to start building. Lego has also split apart the different sections of the minifigures, which I'm glad to see as this makes theft harder! 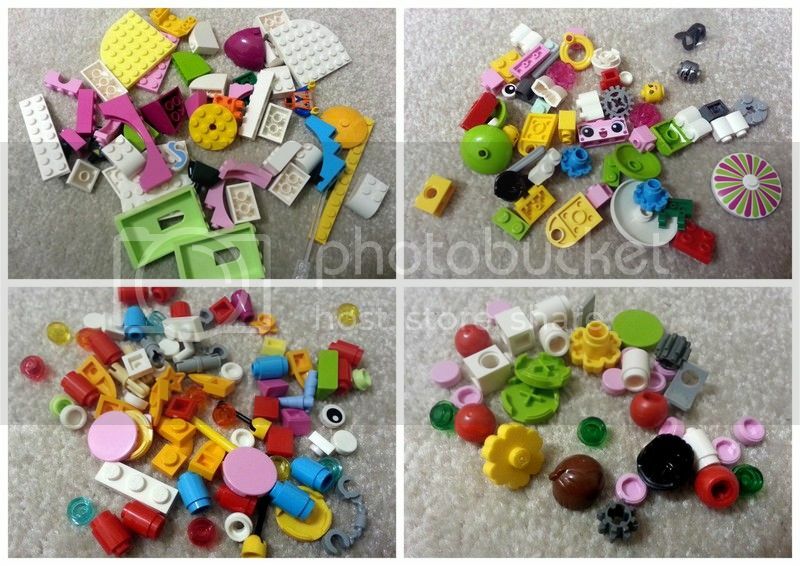 The parts were very easy to find when you pour out the individual bags into their own pile. 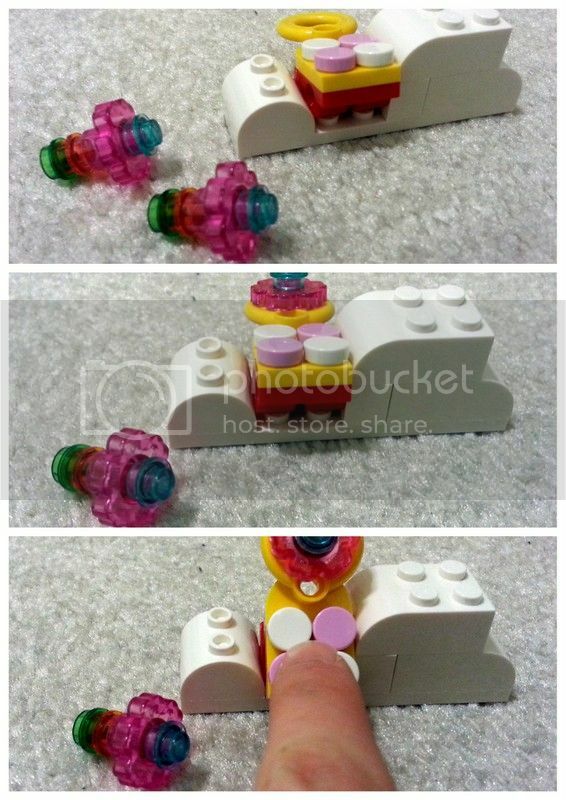 You start off by buildilng the flower catapault, which acts as a flick launcher for the flowers. Here's a look at the different layers of the build. The wheels on the top left hand corner is mounted on gears so they spin, which adds to the playability. A final look at the finished build. The sun is mounted on a clear stick that can move from left to right, making the sun go up and down. At a price point of $19.99 USD and $24.99 CAD, this is a great set to grab especially if you can it on sale. 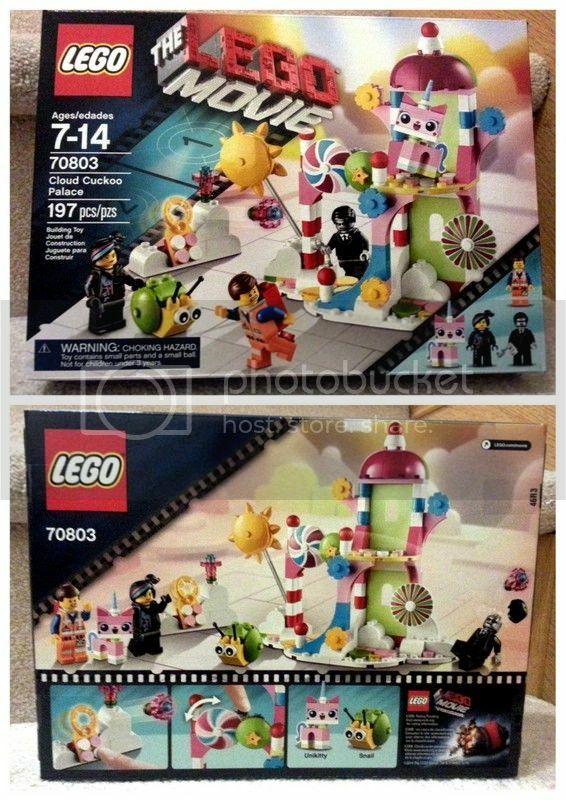 The Unikitty minifigure alone will propel the worth of this set. Robot army builders will also be looking for executron minifigures. The value of the minifigures as well as the interesting pieces and colours makes this set worth getting. 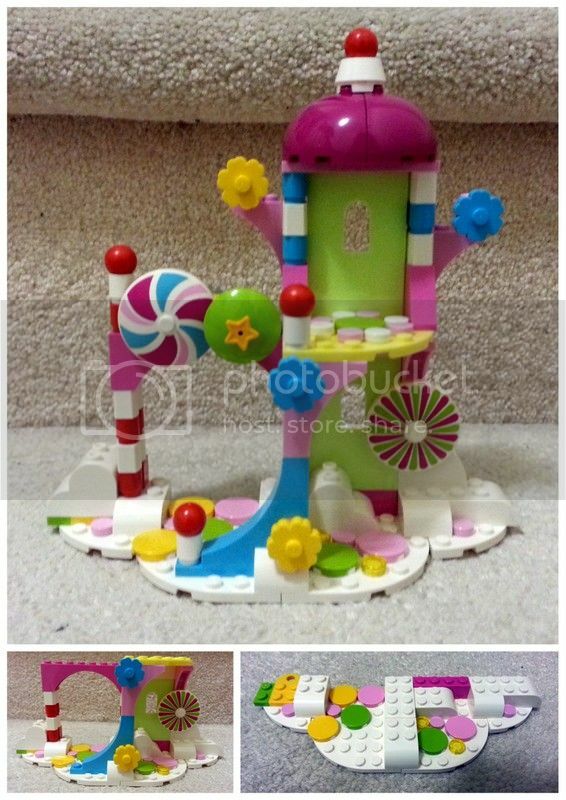 Cloud Cuckoo Palace is a great set to part out as well due to the exclusivity of normal Unikitty. The Lego Movie is extremely popular in theatres and that can only lead to more kids and their parents buying the Lego sets related to the movie. Cloud Cuckoo Palace is the most popular set of the line, being affordable in the mid-range sized sets and very eye catching. The fact that it currently sold out everywhere should be a sign for you to jump on it if you see one! The only reason I give the theme popularity a 7 is because I am not sure if the hype of The Lego Movie (and the seequel) will continue forever. This set was released in 2014 and is still currently available, though is on back order at many stores. At $19.99, it is cheap, available everywhere and is easily accessible to consumers. The box art is certainly eye catching with the bright colours. The back of the box shows the two playability functions with the flower catapult and the rotating discs. It is difficult to tell if the popularity of The Lego Movie will last, but with a sequel to the movie already planned, I'm betting my money on this set doing well as people watch the sequel and realize they don't have the initial line of The Lego Movie sets. Given that this is a very affordable set, most likely kids are buying and and the sets are opened and played with. Many people are having success doubling or tripling their money by parting out the minifgures already. Tuck one or two away sealed in box, you won't regret it! With another movie coming out, Lego will increase in popularity and more Lego fans will want the sets from the original Lego Movie line. The movie is doing extremely well and Cloud Cuckoo Palace has been sold out in stores with the movie only in its second week in theatres. This set is affordable and won’t be hard to find below full retail price eventually. Parting out the minifigures already returns more than the full value of the set so picking up this set is a must. 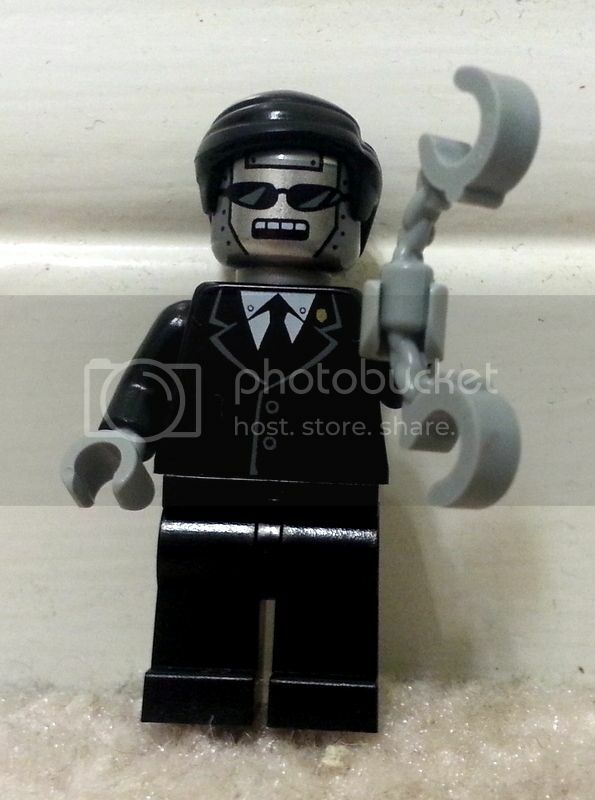 It contains two unique minifigures, with the other two having unique parts. There is already a great demand for this set with the empty shelves in stores as proof. I am sure this set will do well after EOL, so grab one today!